This Sunday 8th November from 10.55am - 12noon the FOBLC will be holding a Remembrance Sunday event. Please come and join us! 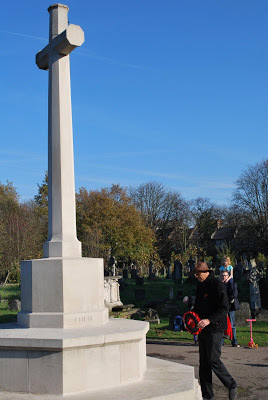 We meet at the Ladywell Cross of Sacrifice for wreath-laying, then walk via three points of interest to the Brockley Heroes corner for the final wreath-laying.